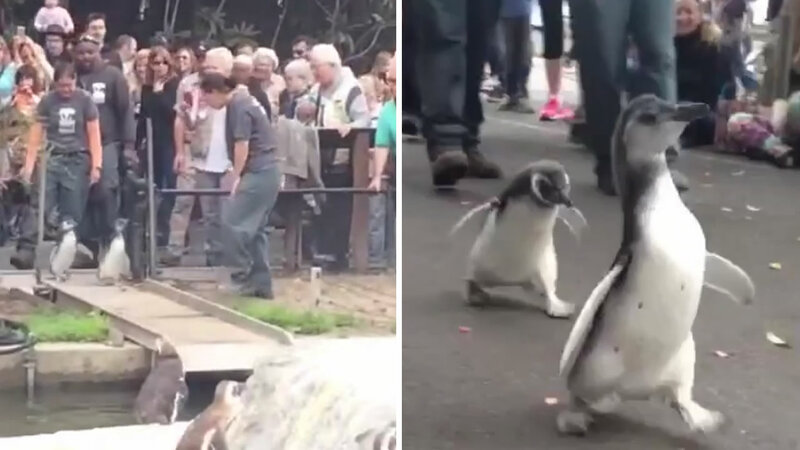 SAN FRANCISCO (KGO) -- The San Francisco Zoo's cutest tradition continued Saturday with their March of the Penguins. A Vine video from the zoo shows two of the newest chicks shuffling through a crowd. One is a male and the other is a female. The march commemorates the penguins' graduation from what the zoo calls "Fish School." Zookeepers teach penguin chicks how to swim, accept food from staff, and eat whole fish.